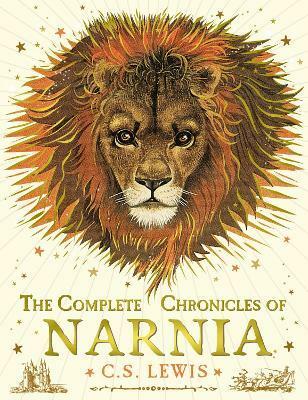 All seven tales in The Chronicles of Narnia are bound together, with full-colour illustrations, in one magnificent hardcover volume with a personal introduction by Douglas Gresham, stepson of C. S. Lewis. Talking beasts, heroic deeds and epic battles between good and evil await you in C. S. Lewis's classic fantasy series, which has been enchanting readers for over sixty years. This edition presents the seven books-The Magician's Nephew, The Lion, the Witch and the Wardrobe, The Horse and His Boy, Prince Caspian, The Voyage of the Dawn Treader, The Silver Chair, and The Last Battle-unabridged and arranged in C.S. Lewis's preferred order, featuring full-colour artwork by the original illustrator, Pauline Baynes. `The magic of C S Lewis's parallel universe never fades.` The Times The Lion, the Witch and the Wardrobe was voted 'Children's Book of the Century' in the Keith Barker Millenium Awards.